Central Fence specializes in custom wood fences, ornamental aluminum & steel, chain link and is currently featuring a unique glide lock technology vinyl panel compared to the industry standard tongue & groove board. Central Fence prides itself on delivering an exceptional product with great service and the ability to problem solve when the competition is unable to do so. Protection Several of our fences offer a cost effective approach to your home and yard. With durability and appeal we are committed to providing solutions for your property. Privacy Active Yards Glide Lock technology secures each board. No gaps, no blowouts, and more security then the industry standard tongue & groove. Choose from 4 colors (White, Wicker, Sand, & Cypress), 6 styles, 4 heights, and up to 3 grades Our Property Located in Somersworth NH, @ 162 route 108 we are strategically placed to offer availability as well as accessibility to our customers. 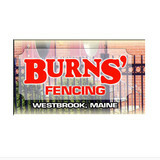 Burns' Fencing was established in 1957 by Ed Burns in Westbrook, Maine, where it is still located today. During that time, Burns' Fencing established an enviable reputation as a top-quality fencing contractor. They have installed many miles of Maine guardrail all over the state, including the Maine Turnpike and Interstate. Upon the retirement of Mr. Burns, the business was sold in 1986 to Aime Levecque. After the Levecques purchased the business, their reputation has continued as a leader in the Maine fencing industry. 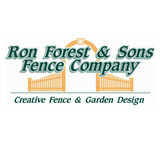 My name is Ron, and I'm the owner of Ron Forest & Sons Fence Company and Bangor Cedar Fence. I've been creating fencing and garden accessories from northern white cedar for more than 40 years. I run the entire company (with the help of an excellent crew and staff), keeping track of everything and everyone. I own a sawmill too, so I can control the process from the trees delivered to the mill to the final product delivered to your home. The finest product is the result of constant quality control throughout the workday and season. We sort our wood carefully, using only the best. We monitor and update our production procedures and equipment and consult with our crew concerning manufacturing and installations. Along with my goal of producing a quality product is to have satisfied customers. I enjoy the creative challenges of working with them; their ideas, needs and expectations. Most people say we are the best in the wood fencing and accessory business and we certainly try to be. Double T Fence specializes in residential, commercial, industrial or any custom fence project you may need. We also sell and install flags, flag poles and accessories. Of course we offer FREE ESTIMATES. Triple P Fence, Maine's premier fence company, offers residential and commercial fencing services at the guaranteed lowest prices. Ensure the security and appeal of your property with quality products and installations from our fence contractors based in Augusta, Maine. We back our precision installations, professional repairs, and affordable sales with more than 18 years of combined experience, a lifetime warranty on most installations, and great customer service. Your satisfaction is our top priority, which is why we treat your project as if it was our own! Upright Fence is a locally owned and operated full service custom built fence company offering a quality product at a competitive price backed with professional service. 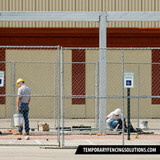 There's never a job too large or too small for us, from a backyard fence to a high security commercial fence. When you turn the work over to the design, fabrication and installation experts at Upright Fence, you'll always be guaranteed a job well done. Specializing in #1 Grade white northern cedar construction, we provide a full line of quality fencing products with expert installation. Call or email us today for your free estimate and let us show you some of the beautiful ways a custom Upright Fence will enhance your property. collage of Upright Fence Company fence work in progress and completed Our customers are from a diverse and varied community of homeowners, animal lovers, garden enthusiasts and business owners in New Hampshire, Maine, Massachusetts, and New England. Word-of-mouth referrals account for most of our business. They are our best advertisements. We are proud of the testimonials we receive from our satisfied customers. Your satisfaction is our #1 concern. If you’re looking for lifetime quality fencing at a competitive price, coupled with top notch professional service, then you’ve come to the right place. We’ll give you the attention and personal service you’ll come to expect and enjoy. We offer the best in vinyl, cedar, and custom-fabricated fencing and have been located in Center Conway, NH since 1978. We have been electric fence dealers in the seacoast area of New Hampshire for many years. We can provide you with the best electric fence for your needs, suitable for everything from buffalo to chickens, beehives to Christmas tree plantations. We are able to spend all the time you need to select the correct energizer for your situation and plot out your fence, whether it’s a small garden or many acres of pasture land. We can advise you on how to build the fence with the fewest components possible to save you money in your fencing project. Your Portland, ME fence installation and repair professional will work with you to create your ideal fence. Fence installation or replacement. If you are in the market for a brand new fence, a contractor’s services will include walking you through various fence styles and materials, determining a suitable height, ensuring that all fence designs and plans are compliant with Maine building codes, and that the fencing meets both your stylistic and security needs as the homeowner. Fences and gates must complement the grade of your property as well as the type of soil you have, so the contractor should always plan around these considerations. Additionally, if you don’t know exactly where your property lines are, he or she can commission a survey for you. Find a fence contractor in Portland, ME on Houzz. Narrow your search in the Professionals section of the website to Portland, ME fence contractors. You can also look through Portland, ME photos to find examples of fencing and gates that you like, then contact the professional who worked on them.